I am going to ask Fritz Wednesday if he thinks he can get the OL and DBs needed to compete in this conference. What's he going to do? He can't say no. And another TD. 35-0. Good night all. How can we be this bad? Proud member of the Greenbackers!!!!! Have a good night guys. I'll be back if we make it interesting. 11:20 IN THE 2ND Q.
I was trying to think about that earlier and remembered the worst half I've ever seen, and it was against... Memphis (State, at the time). October 31, 1992, I believe. How do we replace half the roster overnight? I expected 7 losses, but no blowouts except okla . Expectations were wrong. Our special teams are back. Blocked punt and missed PAT. Our secondary is so poorly coached. Neuheisle and Nutt really took them to task in the halftime show. Terrible technique giving up big plays. O-line is blocking like a puff of smoke. 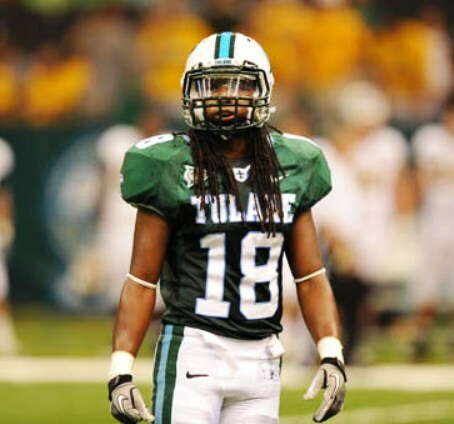 Not optimistic, but Tulane has now scored 19 unanswered points, is now 35-19.
so much negativity. Why do yall bother? Bad snap into our endzone gives UM a TD. This is the worst ranked team I’ve ever seen TU play. Same here. Last week's charge gave me hope we might have a shot at passing game, but nah just playing against a soft defense. This was the only game I was ever able to convince a young waverider to leave early. I've always admired Rider's dogged stick-to-the-end-edness. Was it forged by a specific experience as a youngster? For me, it was being in high school and watching VMI come back and win from down 24 with 8 minutes left. 3 TD's, 3 two point conversions, 2 successful onside kicks. Once you've seen that, its a lot harder to give up hope when things get dark.